1920 Cook County, Illinois census, Chicago. 1860 Benton Co. Arkansas Census, Ball Twp. Father: William "Bill" "Simlinhead" BISHOP , Sr. Nickname from the Arch Bowman work. James is 1 month old at the time of the 1850 census. From the Carmack Surname File at the KY Historical Society, Frankfort KY.
Clay County Ancestral News, Nov. 1989, article by Robbie Jean Davidson - posted to the OCHGS Mail List by Pat W. Ball. Family 1 : JOHN "JACK" COMBS JR.
Rebecca's father, Mason, and John "Jack" Jr.'s father, John, were brothers, making Rebecca and John "Jack" 1st cousins. Name is "Becca" on Clay Co. KY Marriage Index, Bk 1. Marriage LICENSE date is Dec 15, 1813. Clay County KY Marriage Index, Bk 1, Clay County Historical Society, Manchester, KY.
1870 Owsley County KY Census, Buffalo Precinct. Karla,Mason, g/d of George Louis Kreuter. Social Security Death Index and California Death Index. Social Security Death Index and California Death Index, 1940-1997. 1850 Perry Co. KY Census, Dist 2, HH 49 - 1804. PAGE: Dist 2, HH 228. Verna Peters Sedam, daughter of Ellen Tirey & Liberty Peters. Betty B. Gabbard, from the Owsley Co. Library Computer Genealogy File. 1860 Owsley Co KY Census. Death Certificate for son Charles has place of birth as Owsley County, KY.
Nicole Smith, d/o James Cole Smith & Lucy Mae Schwab. 1860 Owsley Co. KY Census, HH 875 and Myrna Gulley Seal. 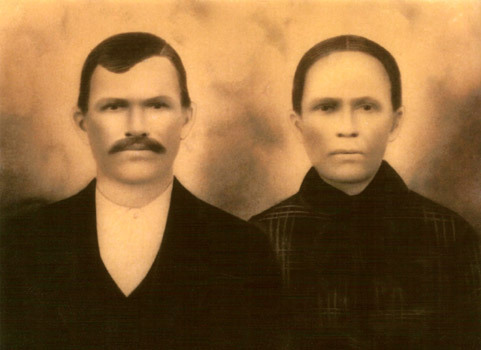 Tom was born out of wedlock, the son of Mary Thomas and possibly a Strong or Black, but took on the Cole name after his mother married Edward Cole. Later he went back to his mother's maiden name, "Thomas". Arrie Belle and Tom were second cousins. Paul M. Haley, grt g/s of Granville Pearl Cole who is the son of Mary Thomas & Edward Cole. Mossville Cemetery Records, Newton County AR, on Leither-Edgemon WebSite. Maxine Jensen, grt g/d of Araminda Thomas & Thomas Jefferson Thomas-Cole. Age 9 in 1870 Census. Info from David Moore. Not substantiated.